You can’t figure out the simplest of Facebook tasks, like how to delete a status mistake, that otherwise you’d have no problem doing on much more rested days…. You spend a good hour trying to find out what the heck is beeping, thinking for sure it’s the barbecue needing more gas, only to realize later, it was you who was beeping the whole time… well, the 10 units left alarm on the insulin pump, that is…. And you come within a quarter of an inch of injecting the super thick, super long reservoir needle into your belly. 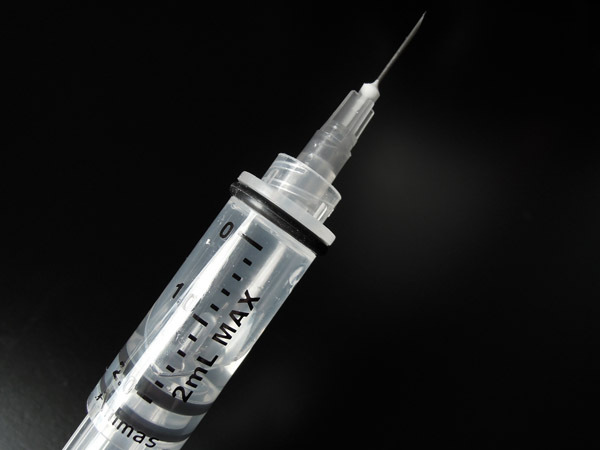 For those of you not in the know, this needle is ONLY used for withdrawing insulin from the vial into the reservoir – it is NOT an injection needle! Dull and thick, not the right needle! This entry was posted in Uncategorized and tagged breastfeeding, exhaustion, Insulin pump, nrew mom, Type 1 diabetes. Bookmark the permalink. The image of the UN-deodorized armpit was bad enough my friend … but the next coupla lines!!!! PUH-leeez – is this a family blog or not!!?? Try to pull yourself together!!! This kind of stuff gets around the playground!! I gotta agree, however, that sticking yourself with that GIANT reservoir needle does indicate the need for more sleep – a LOT more sleep!! HOW you’re to get it, however, I haven’t a clue. Don’t be a hero, running around. When Daddy takes baby, you lay down. Rest. Your date with sleep deprivation has only just begun. You had those days? AFTER he was born? If so, you should consider yourself extremely fortunate. Yep. He slept non stop, even when he was supposed to be eating, couldn’t wake him up for nothing! But because he was losing more weight than they wanted, the docs said we HAD to wake him up… at times it felt like we were torturing the little guy when all he wanted to do was sleep.